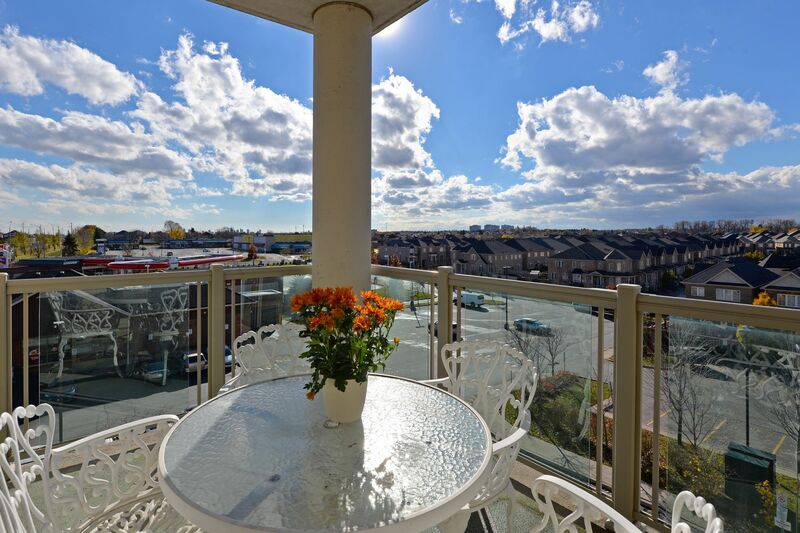 Your perfect “bungalow” in the sky awaits! 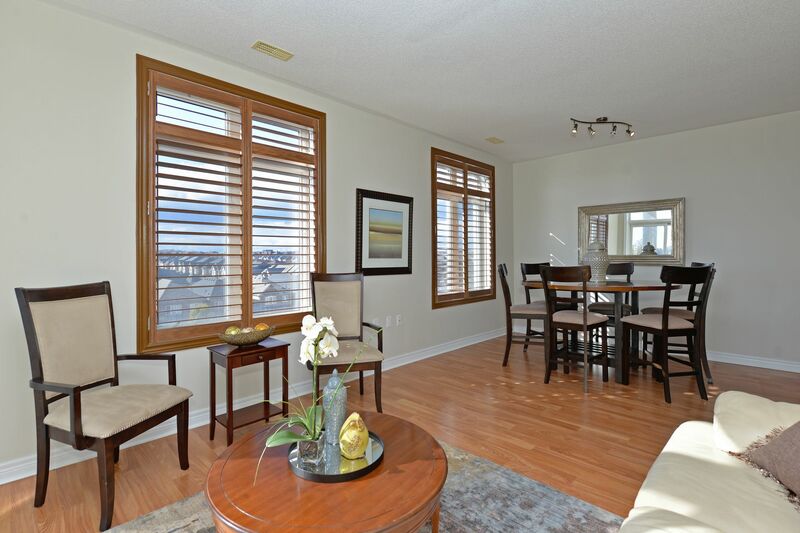 This corner unit condo is 1,319 sq. 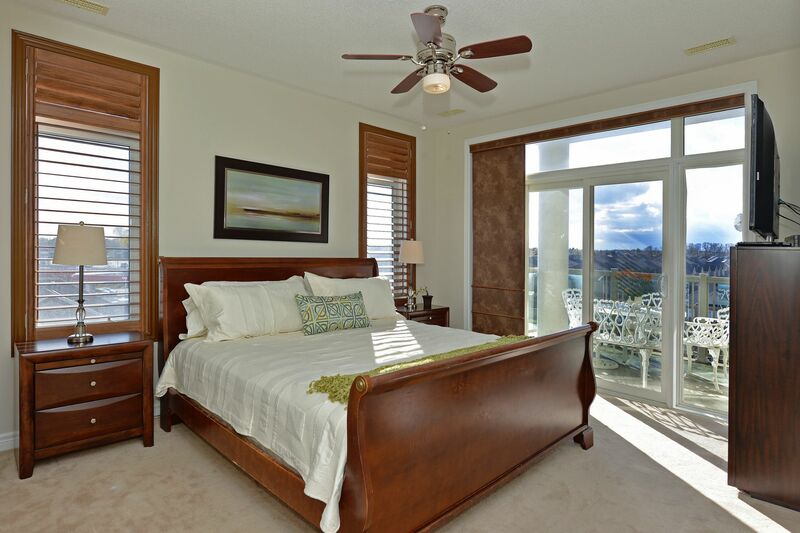 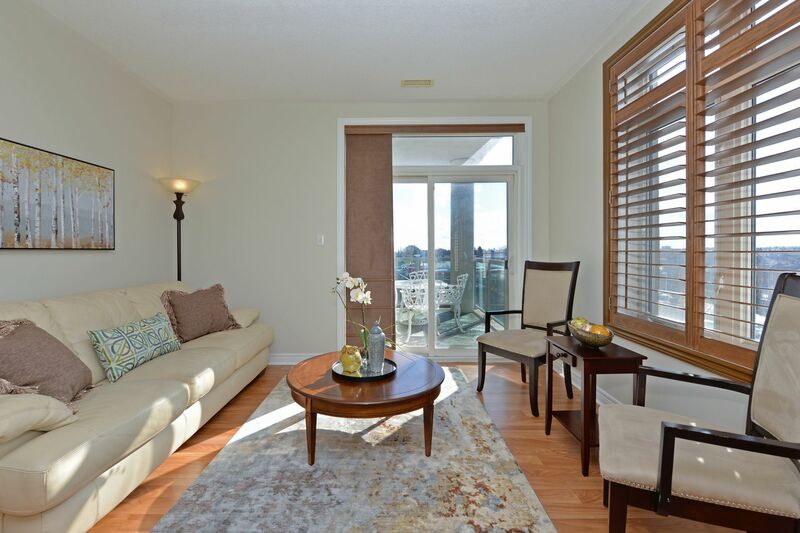 ft., featuring an entertainer’s delight balcony with unobstructed panoramic views. 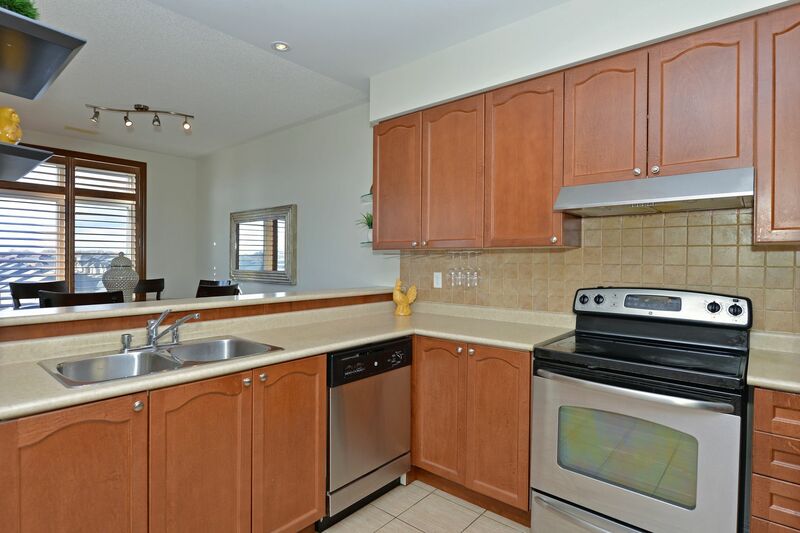 The bright and spacious living space offers an open concept layout with defined areas, 9 foot ceilings, California shutters, and a functional family size kitchen with stainless steel appliances and breakfast bar. 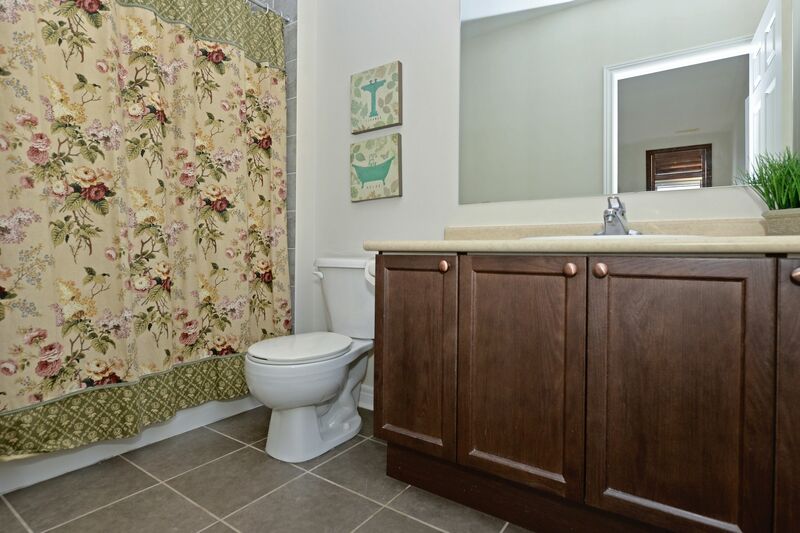 The unit features 2 bedrooms, a formal den, and 2 full bathrooms. 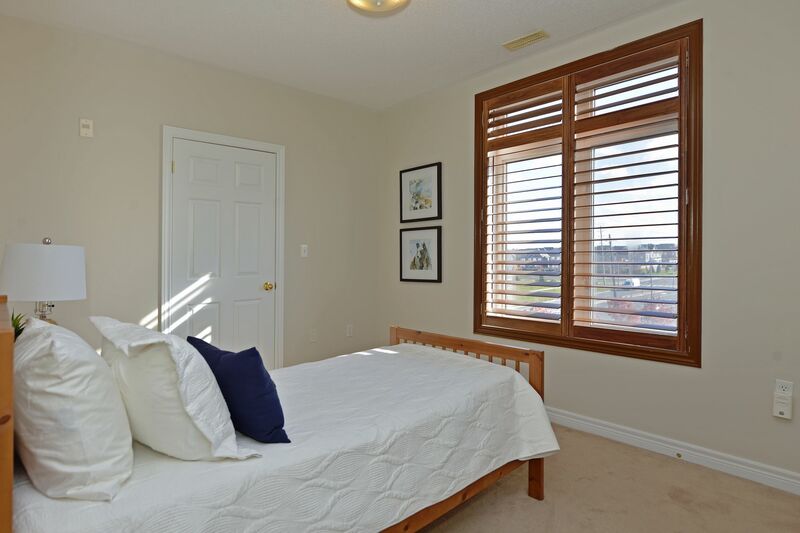 The master suite has a 4-piece ensuite and walk-out to the balcony. 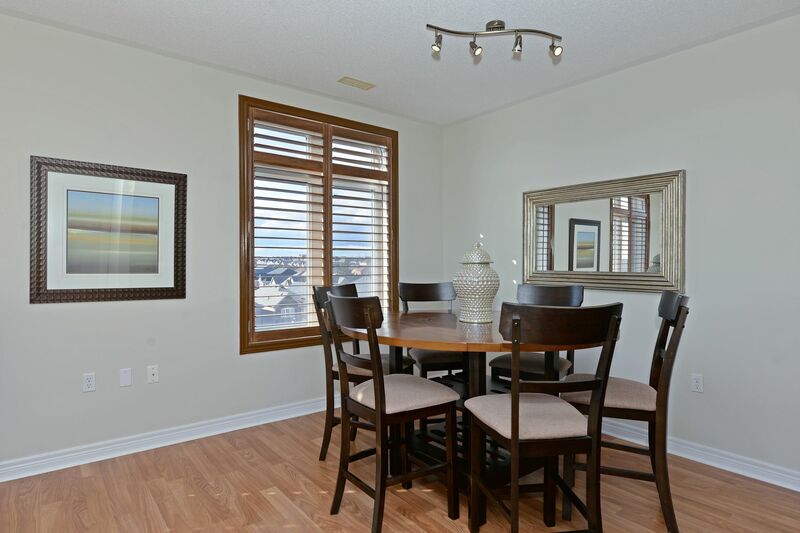 Your search for the perfect condo ends here; this one has it all. 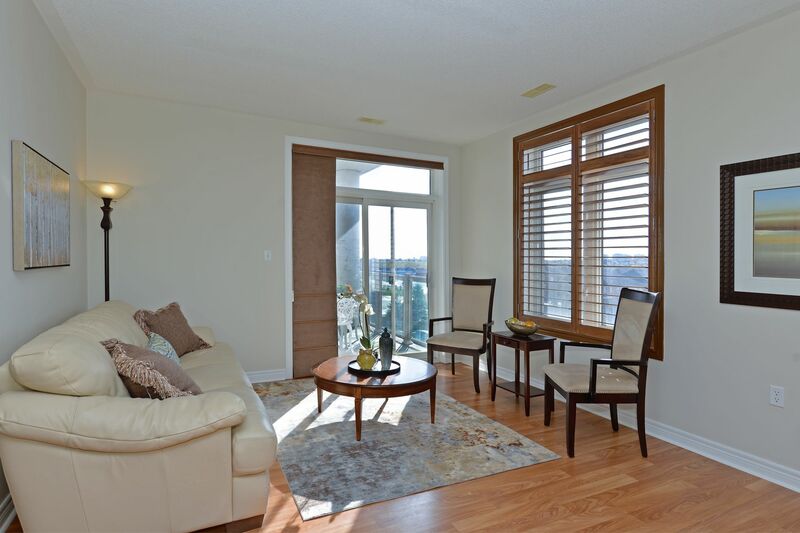 Condo living has never been so easy! 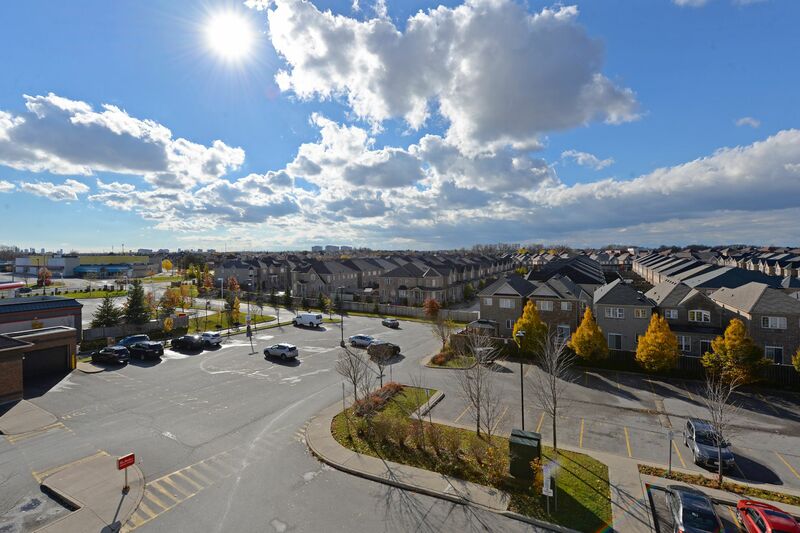 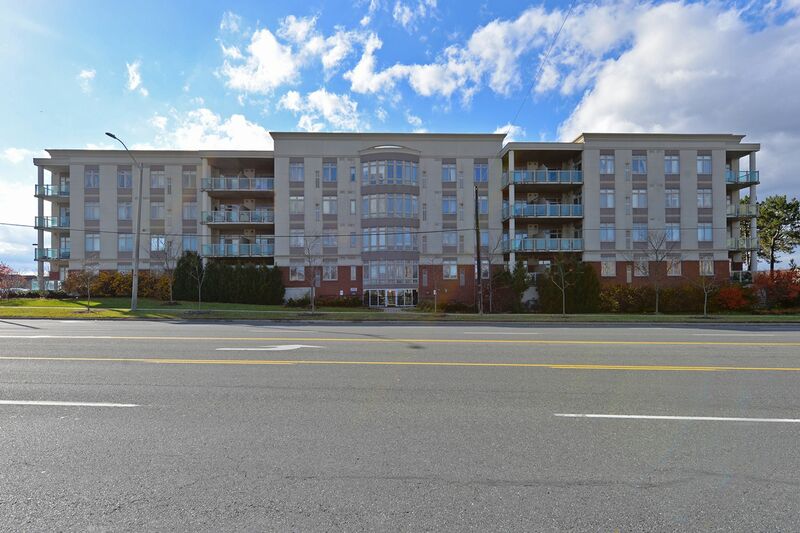 7340 Markham Road is situated just moments to historic Markham Main Street, an endless amount of retail, ample restaurants, grocery stores, banks and transit. 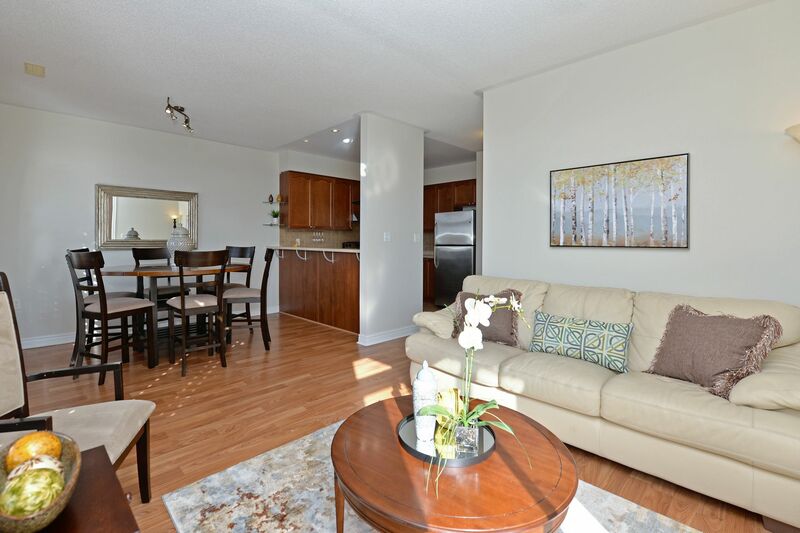 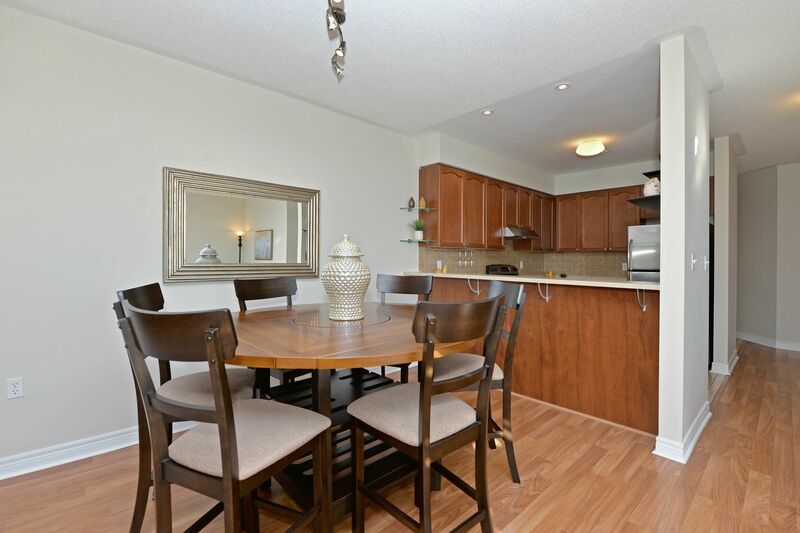 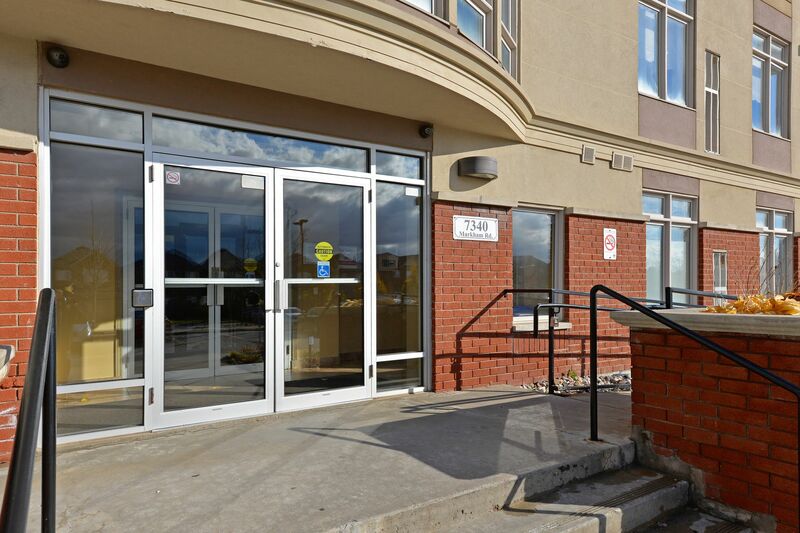 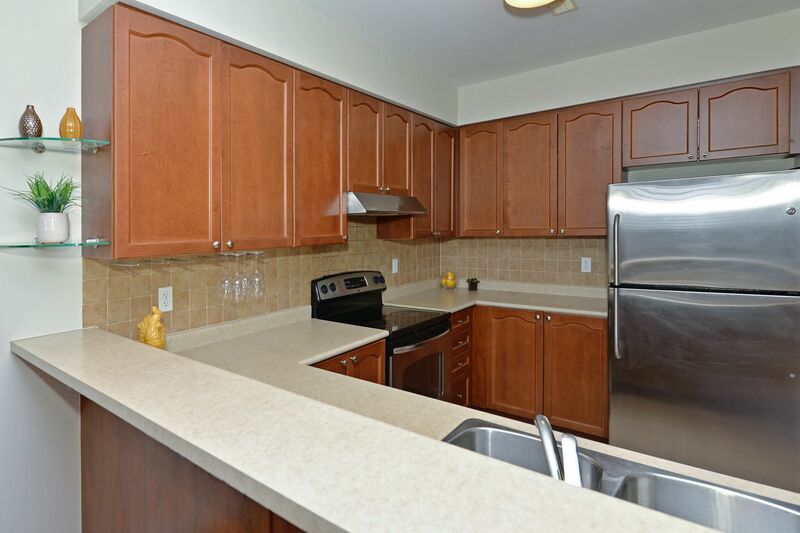 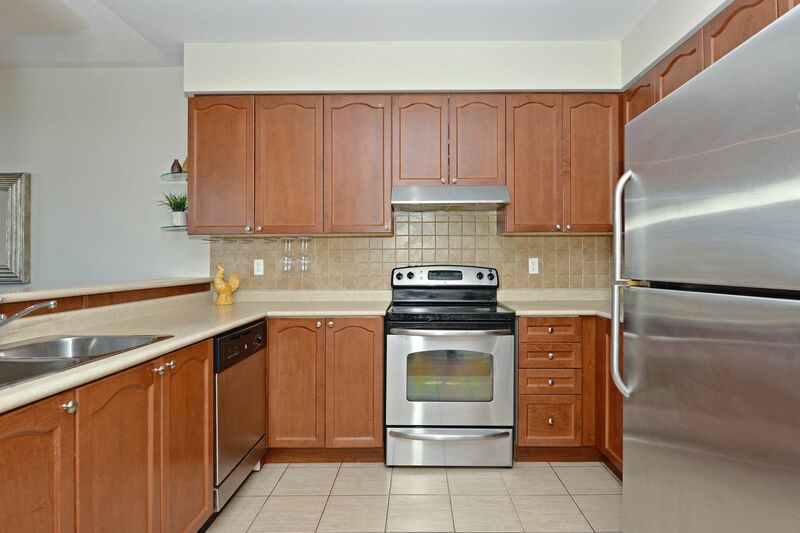 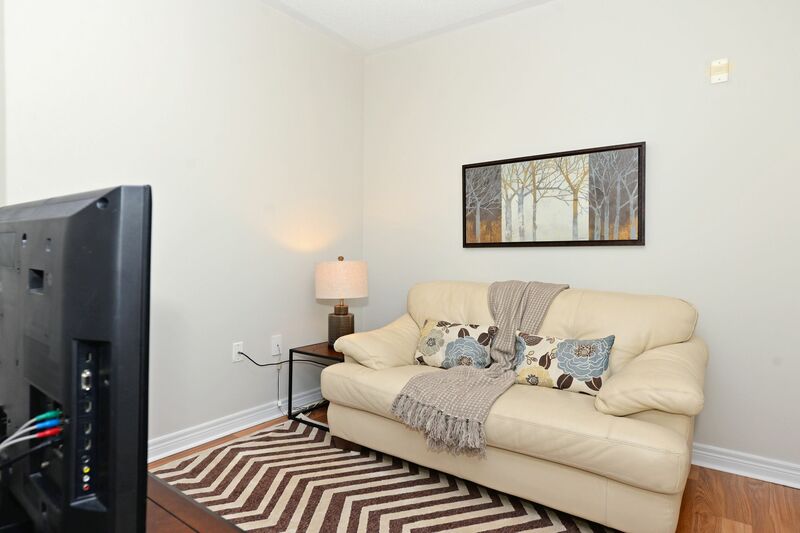 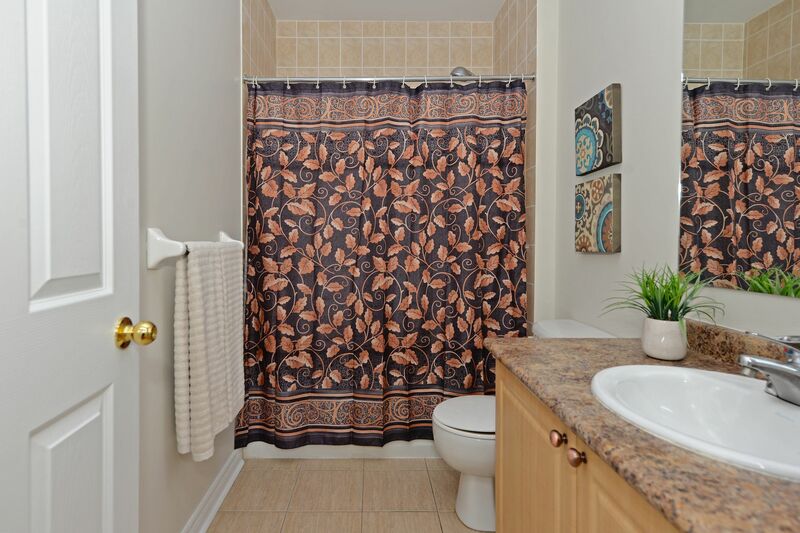 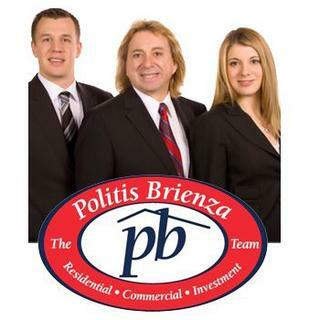 Convenience is at your fingertips with this centrally located condominium!